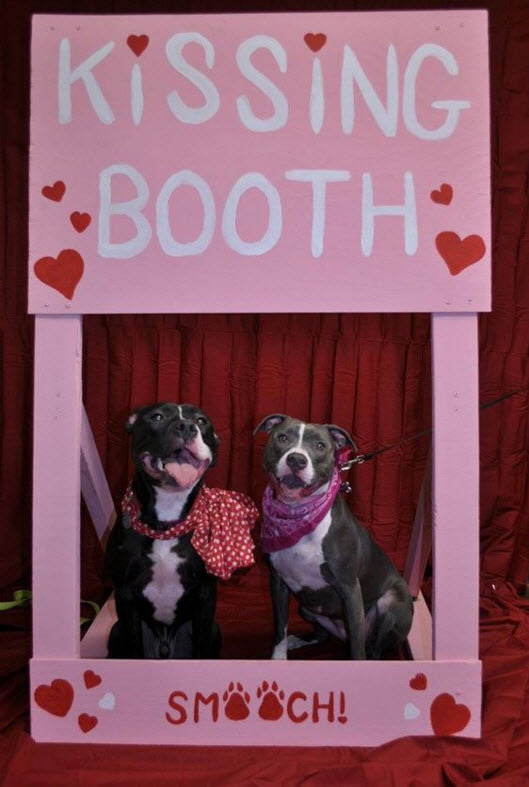 Build a small wood booth for your dogs to give out kisses! Cut wood beams to make two long beams and four short beams. Attach the short beams on the base of each long beam to form triangles. Attach a square piece of plywood across the top area of the stand, and attach a rectangular board across the base. Paint the wood, then decorate the signs.